Anyone who enjoys playing a game of bridge at home should own a set of bridge bidding boxes. 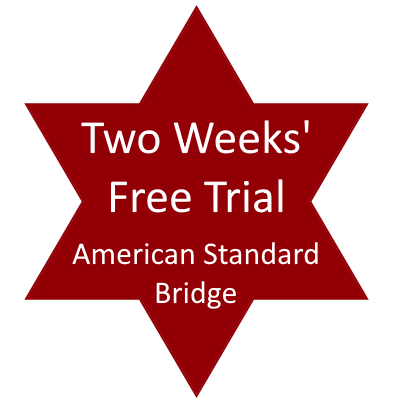 Why use bridge bidding boxes? How do bridge bidding boxes work? Each box contains a set of cards, one card for each possible bid. The cards are kept in the box in order of bid, from the lowest to the highest. To make your bid you remove the card containing the bid you want to make, along with all the cards behind it. Place the cards on the table, with the card displaying your bid on top. At the end of the bidding, simply pick up the stack of cards and replace in the box, behind any remaining cards. They make a perfect gift for a bridge playing partner or friend. If your friend or partner is new to the game of bridge and doesn’t already own a set of bridge bidding boxes, now is the perfect time to buy a set as a present. All the boxes below are sold by Amazon, one of the largest online retailers.